Canada’s newly minted Governor General, Julie Payette, has announced 125 appointments to the Order of Canada, with a list that includes famous faces such as William Shatner and Jann Arden as well as two former Supreme Court justices and the Catholic priest Father John Walsh. Canada's newly minted Governor General, Julie Payette, has announced 125 appointments to the Order of Canada in a list that includes famous faces such as William Shatner and Jann Arden as well as two former Supreme Court justices and the Catholic priest Father John Walsh. Since its inception in 1967, almost 7,000 people from all walks of life have been invested into the Order of Canada. This year's nominees will be awarded their honours at ceremonies to take place later in the year. Dates have not been set. 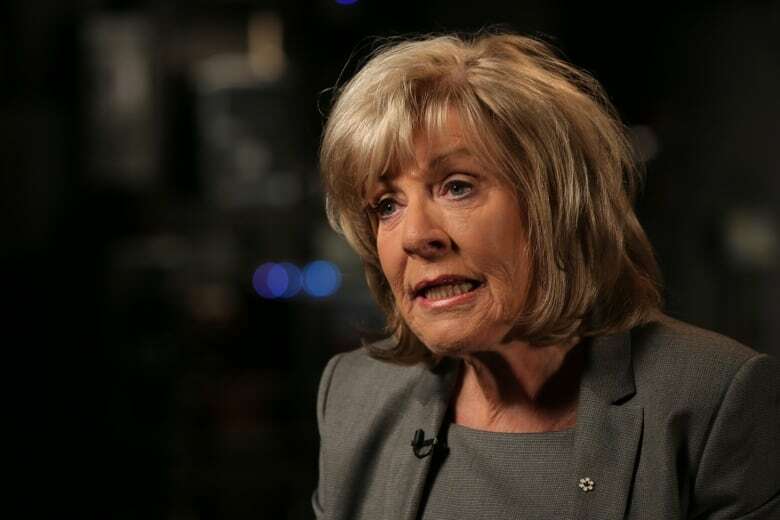 Journalist and documentary filmmaker Sally Armstrong, who also happens to be the mother of CBC host Peter Armstrong, will be made an Officer of the Order for her groundbreaking work "highlighting human rights and the struggles of women in the world's conflict zones." Armstrong, who says she is "thrilled and honoured" with the recognition, remembers a time when she had to fight with editors and publishers to cover the issue she has dedicated her career to. She broke the story of how women were being gang-raped during the conflict in the former Yugoslavia for Homemaker's magazine, bringing an issue she says was ignored into the spotlight. "Why did we break this story, you know why? Nobody else wanted it, that's how I got the story," Armstrong told CBC. "In 1993 it wasn't an issue that would make page one, now Malala Yousafzai is on page one. These are the stories that the media is chasing today." 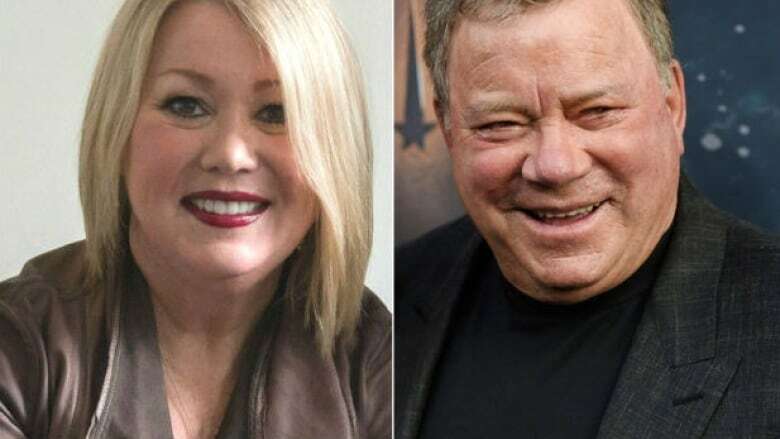 Among the other appointments is Montreal-born actor Shatner, who will be made an Officer of the Order not only for his contributions to popular culture, but also for his charity work "related to health care, the environment and the well-being of children." Singer and songwriter Arden, from Calgary, will be made a Member of the Order for her work "as a singer-songwriter and broadcaster, and for her extensive charitable work." Deceased billionaire ​Barry Sherman will be invested posthumously. He learned of his appointment to the Order of Canada in November, just one month before he and his wife, Honey Sherman, were found dead in their North York, Ont., home. Another Montrealer being honoured with membership in the Order is Walsh, a popular Catholic priest, for his "ability to forge ties and encourage dialogue between faith communities and for his longstanding commitment to charitable causes." "I am very humbled at receiving the order of Canada," he said. "It's not something I worked for. Walsh, who runs an interfaith blog called Faith Blender with an Imam and a Rabbi, says he hopes this honour will draw attention to the importance of interfaith relationships. Walsh hopes he will see "interfaith peace among religions" as a way to "open the world to peace." Two former Supreme Court of Canada justices will be invested as Companions of the Order: Justice Thomas Cromwell, who was born in Kingston, Ont., and retired in 2016, and Quebec City's Justice Louis LeBel, who retired in 2014. "It's an enormous honour that I never imagined that I would get," Cromwell told CBC News. "I hope that it recognizes the contributions of many of the good people I have had the good fortune to work with over the years as well." LeBel said that while he is "quite honoured" to have been chosen, he also considers the honour a shared one with the Supreme Court of Canada and its role in society. 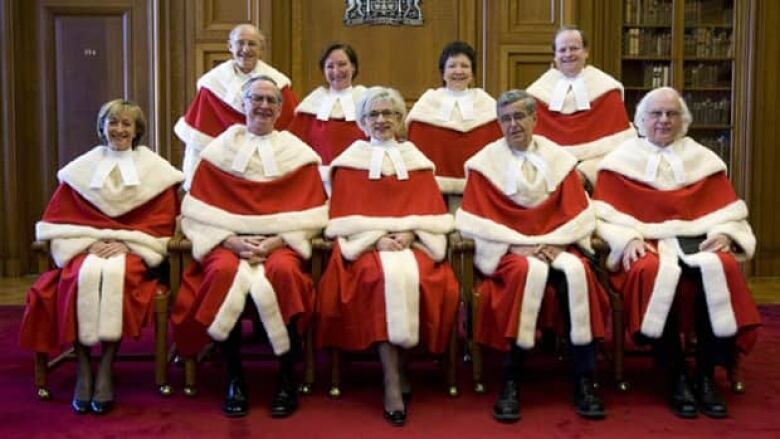 "I think it recognizes the role that the Supreme Court of Canada plays in our society," he said, noting that it has been a "major honour and responsibility to take part in its work." Curt Harnett, a three-time Olympic medallist in cycling for Canada will be made a Member of the Order of Canada "for achieving excellence in the sport of cycling and for his leadership as an advocate for Canadian athletes." "You never venture off and get involved in things with hopes and aspirations that you'd be awarded a significant honour for it," Harnett said. "To have this moment come, I'm pretty proud of the moment." Harnett said he has always worked to represent his country the best way he knows how. Riding in events in The Netherlands and Belgium, seeing the warm reception he had while flying the Canadian flag made him feel proud about being Canadian. "There's few things like sport that bring a country together, that unify a nation and help us celebrate ourselves collectively," he said. "It's really exciting for me to be a part of that as an athlete." 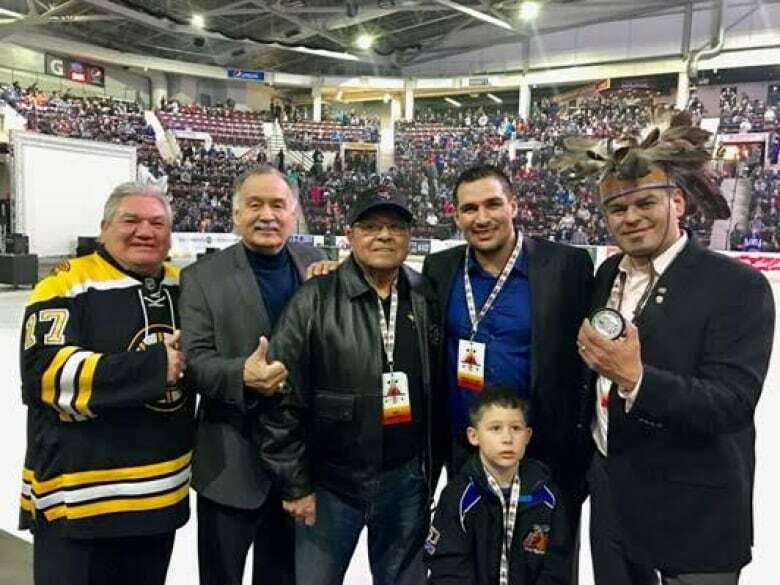 Hockey greats from left Stan Jonathan, Reggie Leach, Fred Sasakamoose, Jonathan Cheechoo with Ontario Regional Chief Isadore Day at the opening ceremonies for the 46th Annual Little Native Hockey League tournament, held in 2017. Also being made a Member of the Order is Frederick Sasakamoose, of the Ahtahkakoop Cree Nation, Sask., who was the first Indigenous player to make it to the NHL. Sasakamoose played for the Chicago Black Hawks in the 1953-54 season, when there were only six teams in the league. "It's unbelievable," he told CBC. "I thought getting to the NHL was to make it to the highest level of my life. But to reach the age of 84, and you receive the honours of Canada. That is one of the top awards that I will receive and remember for the rest of my life." Sasakamoose says that he hopes the appointment shines a light on his work with sport and youth on reserves and that he can continue to help Indigenous youth see a path to a greater future. He says it is his dream to someday be able to "walk with youth in my reserve with my head up, drug free in my reserve, and other communities in the North and other places I go."